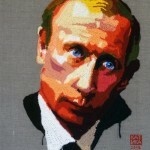 Talented 26 year-old Russian graphic artist, animator and painter Ekaterina Penzina (aka Katika) is from Yaroslavl. 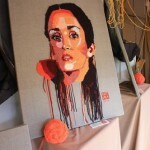 She received her first artistic knowledge in Yaroslavl art school. 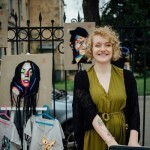 Then followed three-year course of jewellery design in a college, and six years of studying in the Ural Academy of Architecture and Art. 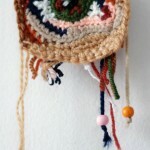 However, the idea to replace the brush and paints with a hook and yarn came during her pregnancy, when women tend to do something “warm” and cozy: knitting or sewing. 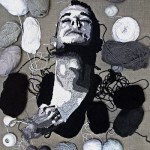 The inner artist and female nature – this is where her technique was born. 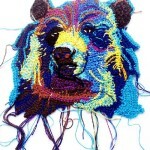 Besides, it was her mom who played the main role in the decision to begin this direction of textile art. 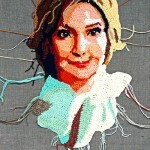 From early childhood Ekaterina learned knitting and sewing from her mother. 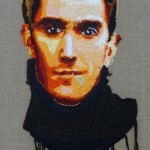 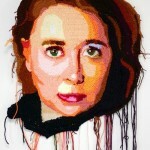 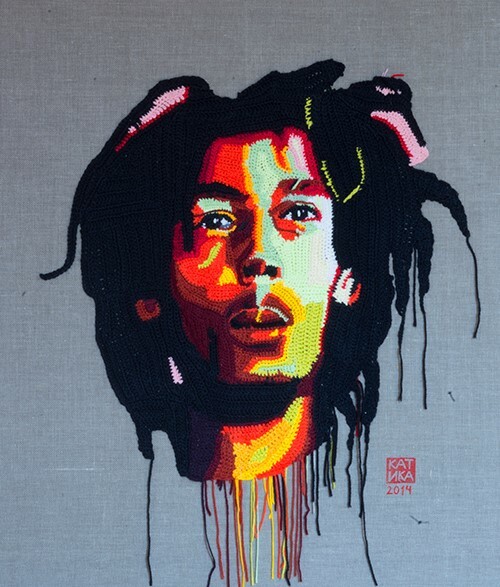 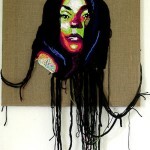 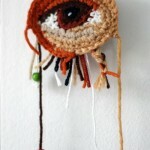 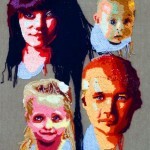 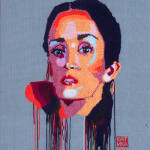 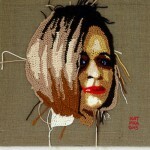 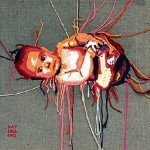 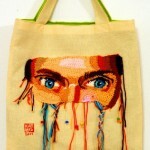 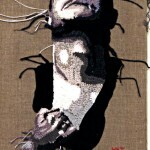 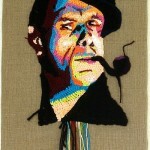 According to her, crochet painting, and portrait in particular, takes about a week to create it. 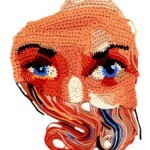 And the main inspiration for her – famous personalities, human eye, exotic animals, and even epic images of cars. 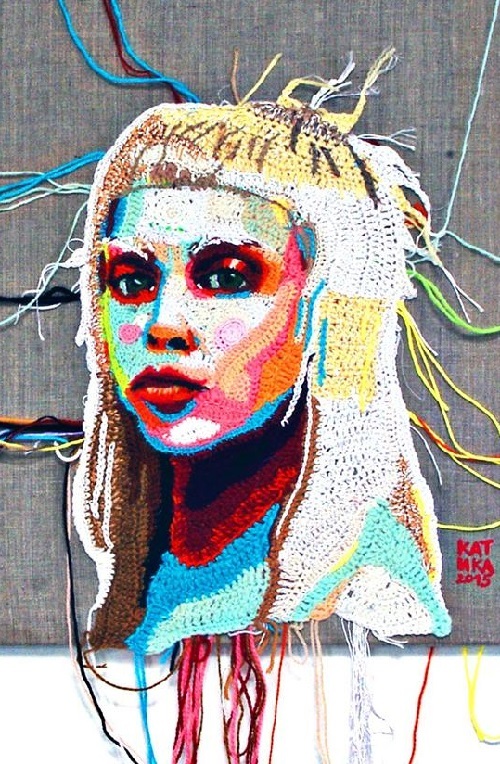 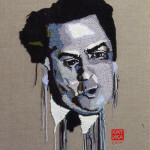 Since 2006 Ekaterina Penzina has exhibited her crochet masterpieces at the national and international exhibitions and in some art projects.